Belgian terror suspect who joined the Popular Front for the Liberation of Palestine and trained with Hezbollah indicted. An indictment will be filed Thursday morning against a Belgian resident who was recruited to the Popular Front for the Liberation of Palestine (PFLP). Mustafa Khaled Awad, 36, has been active in the terror group since 2010. He trained with Hezbollah operatives in Lebanon, and helped transfer terrorist funds from the PFLP terrorist organization in Syria and Lebanon to European activists. On Wednesday, it was announced that Awad was arrested when he attempted to enter Israel in July. Investigations revealed that he was a member of a cell of PFLP terror operatives living and working in Europe, and was in contact with terrorist operatives from Lebanon, Syria, Jordan and activists in Judea and Samaria. 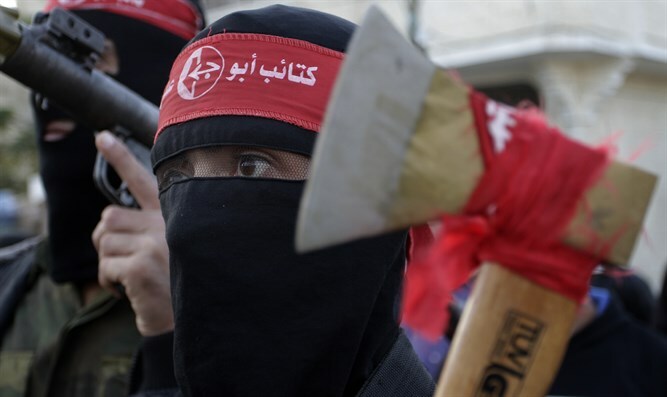 The Popular Front for the Liberation of Palestine (PFLP) is a terrorist organization that advocates an armed struggle against the State of Israel. It isresponsible for dozens of terror attacks against Israelis in Israel and around the world, including the murder of the late Minister Rechavam Ze'evi in ​​2001.